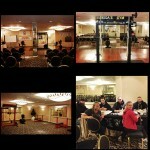 The IPA Night Before Christmas Toys for Tots benefit meet on Dec 6th at the Clarion Hotel in Ronkonkoma NY was a huge success!! 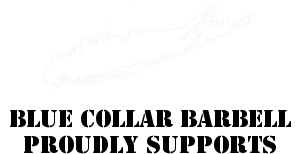 Before I get into some of the honorable mentions, I’d like to give a big huge shout out to my unreal, unstoppable team Blue Collar Barbell. Vic Delacroce, Peter Lodise, Little Steve, Andrew R. Aline, Steve Acky, Nick Idvo, Victoria Collins Lodise, Taylor Schnell, Dean Schantz,Joe Lamberson, Kellieanne Norman. You guys worked your butts off without one complaint, all you wanted to do was make this event the best it could be, and there is no way I could ever of done this without all of you. You worked as one unit and a very well oiled machine! From moving, setting up, watching the door, to the meet being run amazing and efficient, to moving again hahah and again soooo thank you all !! The team with head judge Bobby Fields! Kathy Fields, Shawna and Vicki! The team hard at work, doing what we do best! 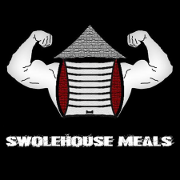 Blue Collar Barbell and the Meatlocker! Thank you to Bobby Fields and Kathy Fields for coming out and judging, huge thanks to Henri Skiba’s Gym for lending us your equipment! Thanks to James Klemick for making the trip out from Coalition Nutrition. Thank you to David Hoff even though you couldn’t make it for all of your support, thank you Patrick Racquet for your brilliant ideas! 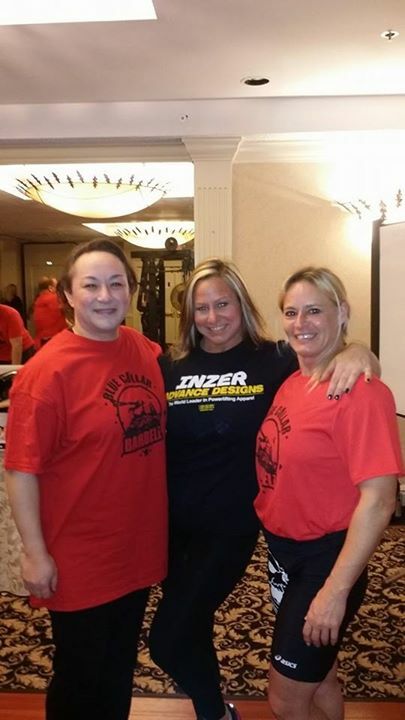 Big shout out to our sponsors Inzer Advance Designs, the-meatlocker, black widow training gear. We had some amazing lifting from teens, women, men raw and equipped. 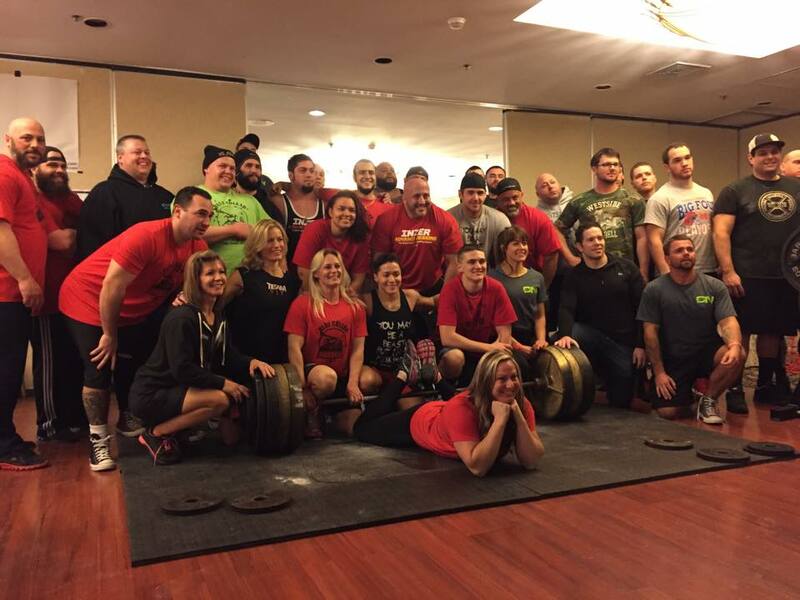 New lifters to seasoned lifters whether the lifters did well or not the comradery, and the energy in that room was AMAZING!! 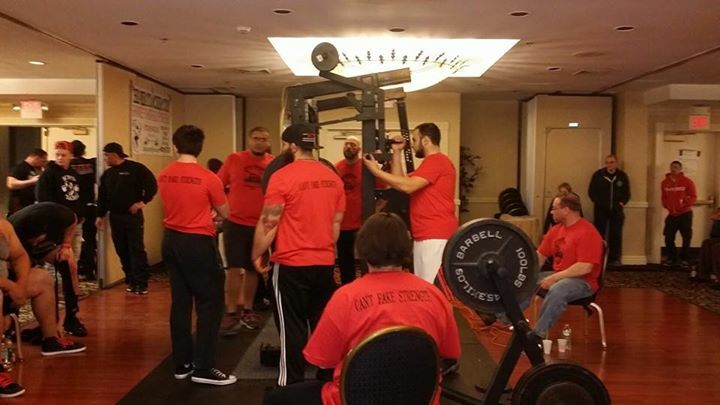 The room reminded me of days of old with several different teams in attendance, and everyone helping each other, cheering for each other and generally being happy for their fellow lifter. The teen division was awesome! 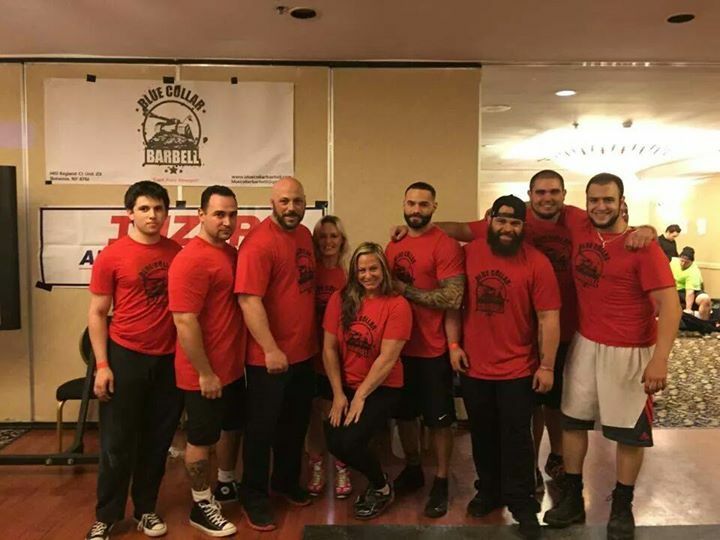 Two who stood out were Kenny Leitch III this was his 2nd meet ever he’s 15yrs old he squatted 300, benched 190, and pulled 375. 865total raw! 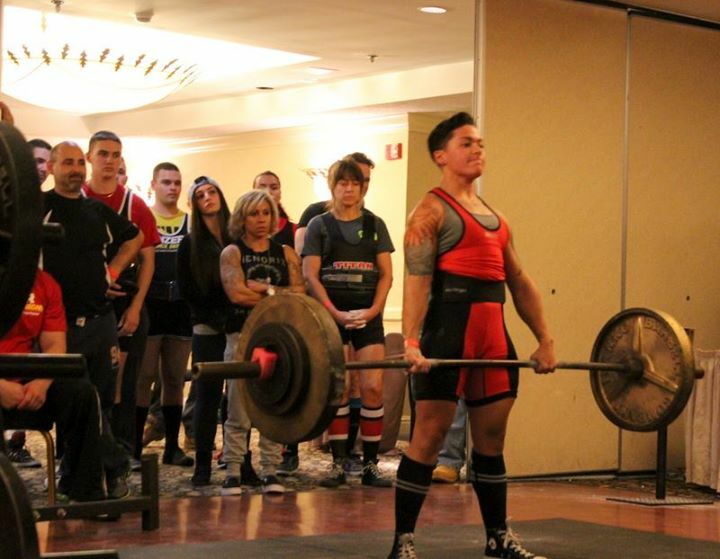 Koryn Padilla was her very first meet ever she’s 18 she squatted 255, b 140, d 315. 710total Raw! Then the women we had some strong females in the house. 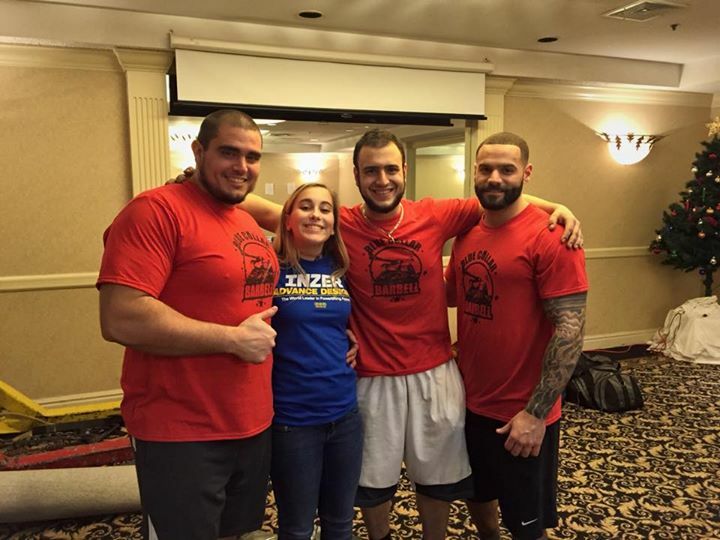 Melissa Demetirou her very first PL meet weighed in at 123. 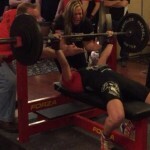 She squatted 300, benched 175, and pulled 320 for a 795total 1st place. She’s an amazing athlete and hope she sticks with this sport she has a ton of potential. 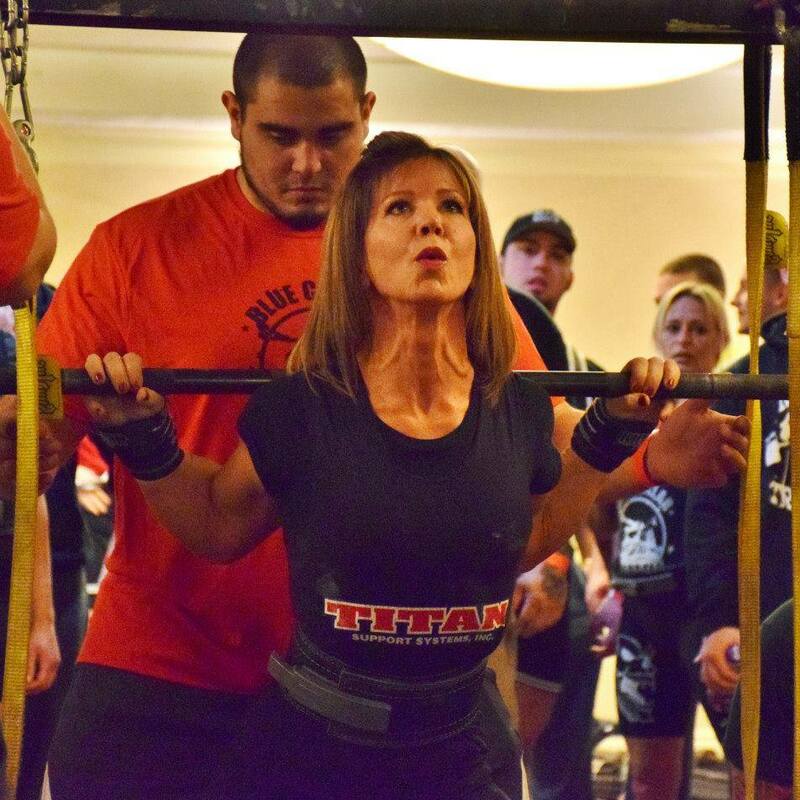 Elizabeth Grundy she weighed in 114lbs squatted 245, benched 120, and pulled 250 for a 615total Masters/Open she one 1st place and best lifter. 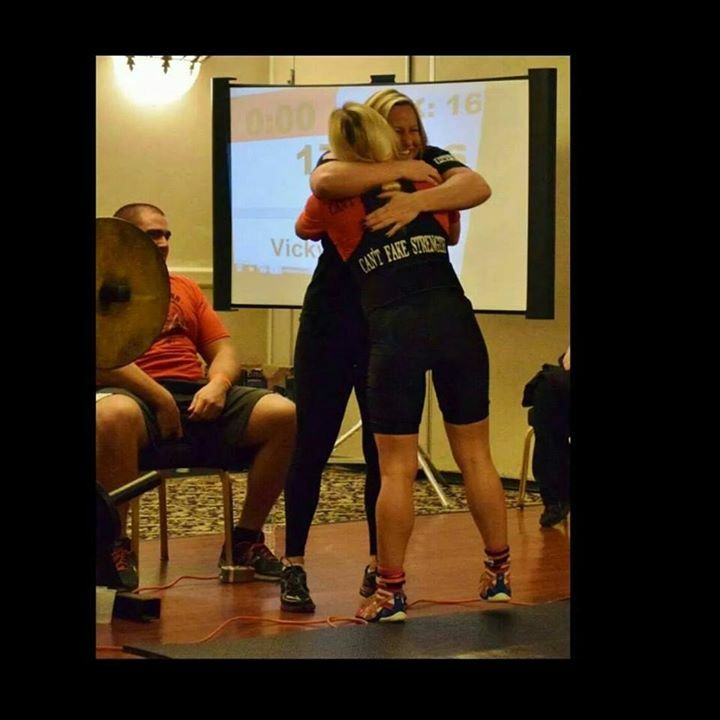 Victoria Lodise had an outstanding day for her very first full meet she squatted 185, benched a crazy 175, and pulled and easy 240 for a 600lb Total, Kristina Trauch Evon squatted 185, b 115, and pulled a huge 360 raw in womens Masters wow go girl power!!! Was awesome!! 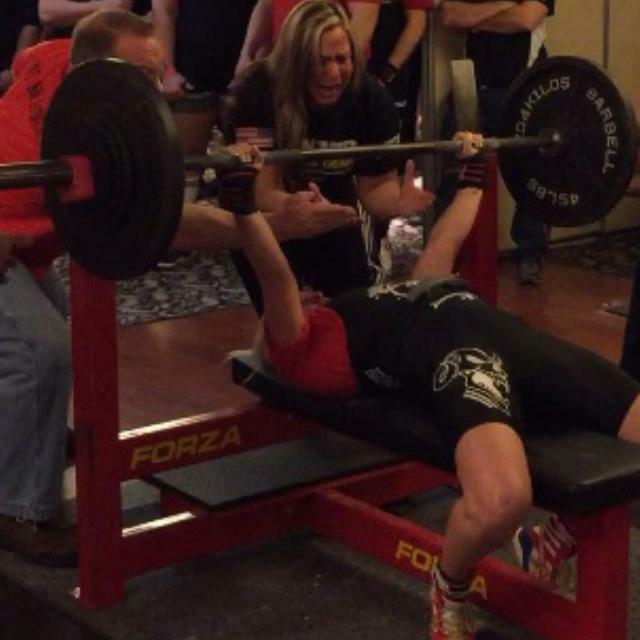 Blue Collar Barbell team member Victoria Collins Lodise broke the IPA World Record for her age and weight class with her monster 175lb bench! This was her first full-power meet and we know she’s got way more to come! Congrats Vicki, we couldn’t be more proud of you! 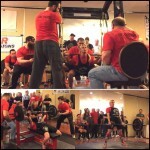 Mike Russo squatting 650 in his first ever meet! Corey Smash crushing an 800lb deadlift! Room setup… and one tired moving crew! 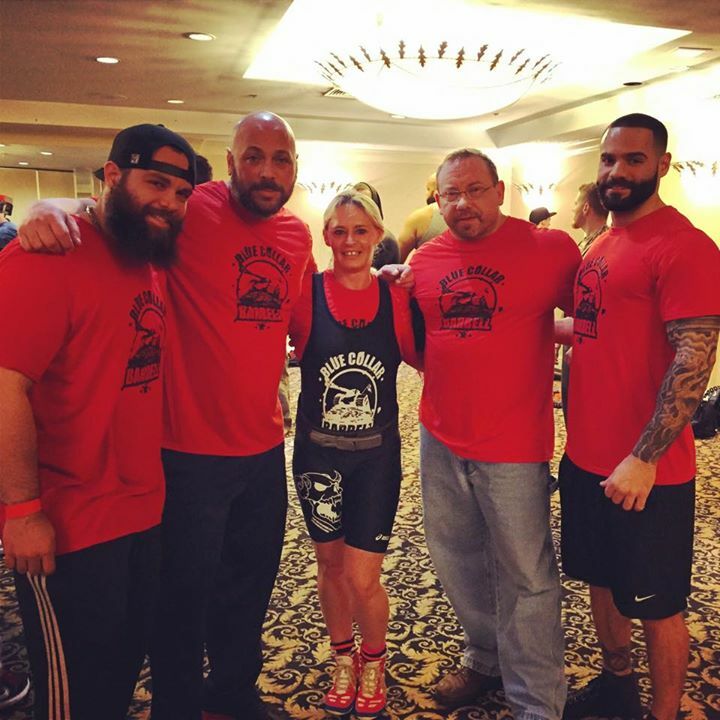 CLICK HERE FOR OFFICIAL RESULTS!